"The wall was the ambition, the style became the obsession." In the autumn of 1982, a single stone fell from high on the south face of Annapurna and struck Alex MacIntyre on the head, killing him instantly and robbing the climbing world of one of its greatest talents. Although only twenty-eight years old, Alex was already one of the leading figures of British mountaineering's most successful era. His ascents included hard new routes on Himalayan giants like Dhaulagiri and Changabang and a glittering record of firsts in the Alps and Andes. Yet how Alex climbed was as important as what he climbed. He was a mountaineering prophet, sharing with a handful of contemporaries–including his climbing partner Voytek Kurtyka–the vision of a purer form of alpinism on the world's highest peaks. 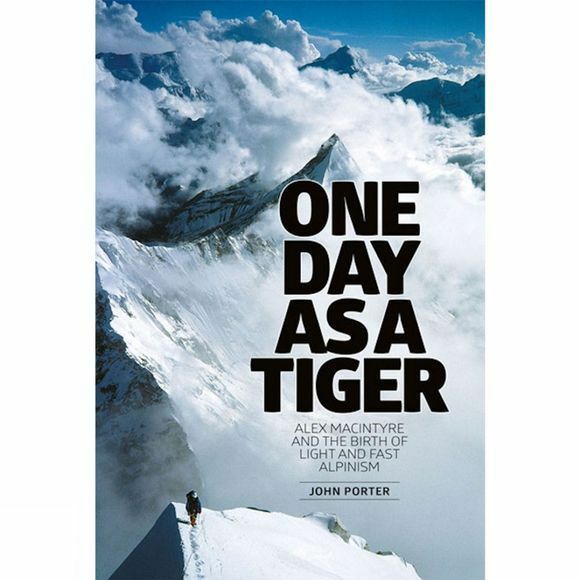 One Day As A Tiger, John Porter's revelatory and poignant memoir of his friend Alex MacIntyre, shows mountaineering at its extraordinary best and tragic worst–and draws an unforgettable picture of a dazzling, argumentative and exuberant legend.